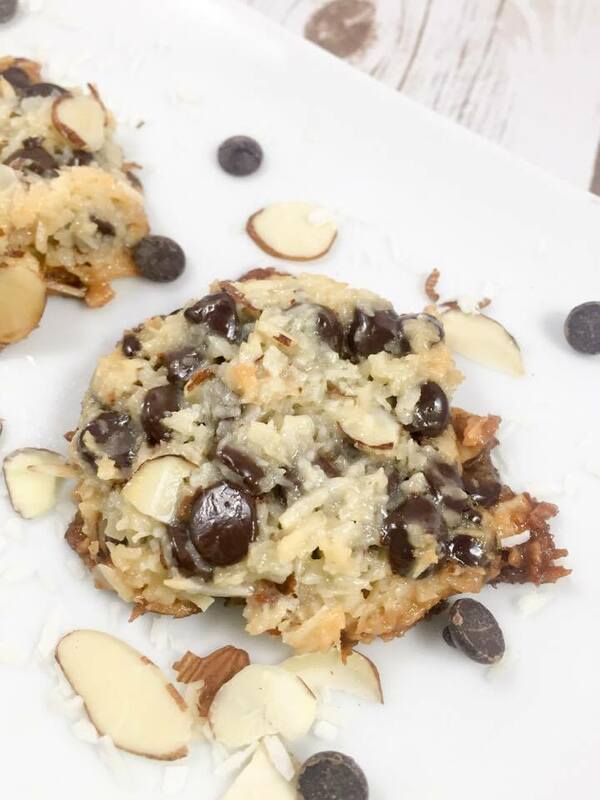 Almond Joy Cookies! Coconut, Stevia-sweetened chocolate chips, almonds, and homemade (sugar free) low carb sweetened condensed milk. Only 4 ingredients and super easy to make! I love to do make-over recipes. 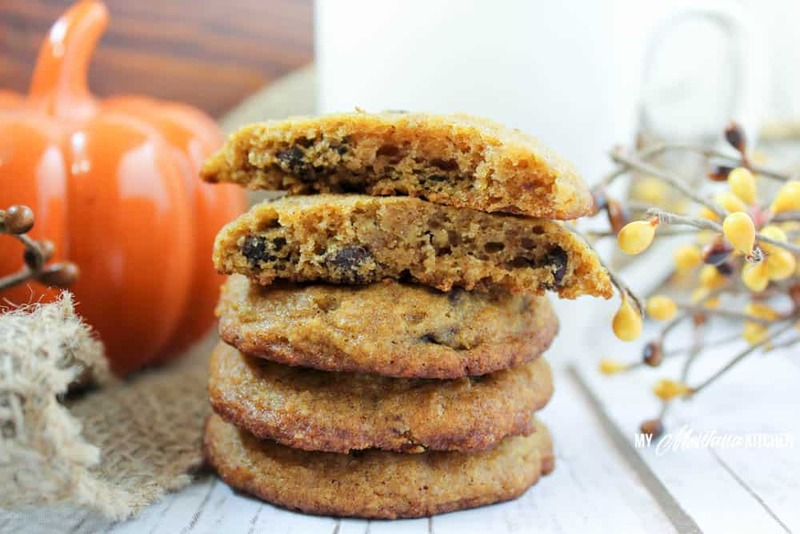 This can include old family favorites (like this Chocolate Chip Cookie Recipe). Sometimes other people give recipes that they want THM-ified, and that is how this recipe came to be! Quite a few people have asked for a THM-friendly version, and here it is. Please watch my video below to see just how simple these are to make! With a few simple swaps, these cookies are sugar free and low carb. 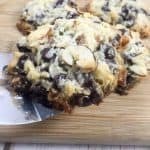 I have always loved Magic Cookie Bars (like these amazing Low Carb Magic Cookie Bars), and these Almond Joy cookies remind me a lot of those bars! 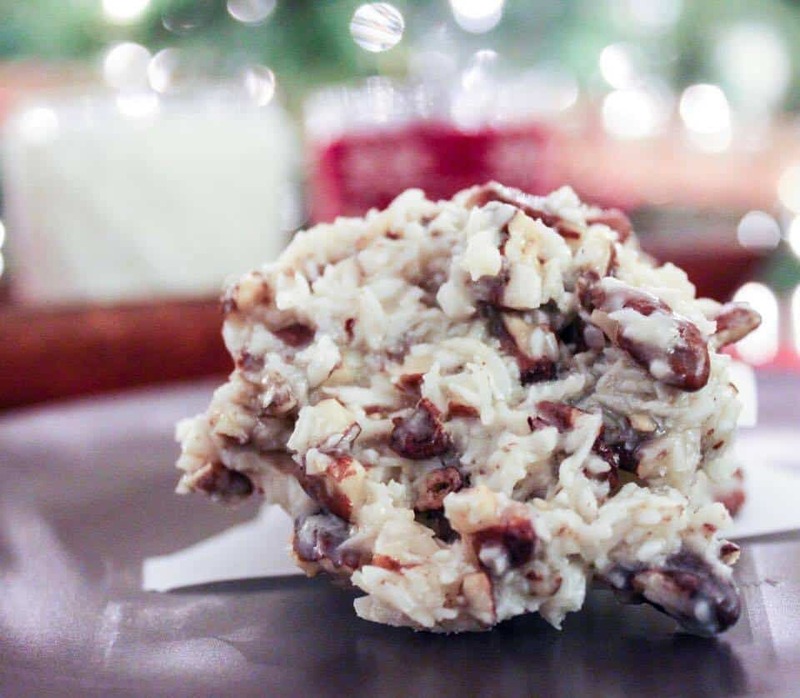 Of course, these Almond Joy Cookies also taste like their name-sake, an Almond Joy candy bar, but without all the sugar and health damaging ingredients! I even shared a few with a non-THM-er and they liked them (Ha! You know who you are)! This recipe only has four ingredients, one of which is my Homemade Sweetened Condensed Milk. May I just confess here that I probably have been ingesting a bit too much of this? After it sits in the fridge it solidifies a bit and tastes like vanilla fudge! (A true 2 Ingredient Fudge Recipe here!) It is so good it is dangerous! 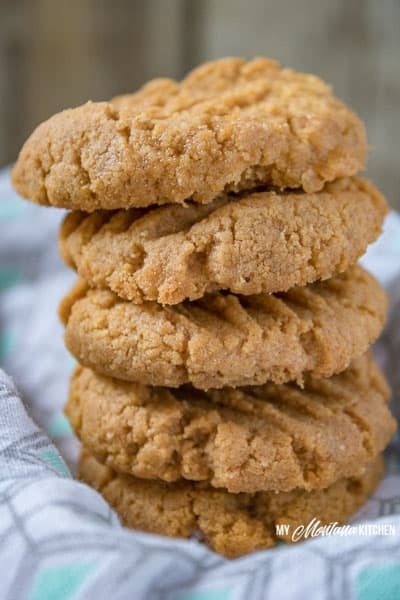 There are many different uses for Sweetened Condensed milk, but this cookie recipe is the main reason I created my own Sweetened Condensed Milk recipe. Seriously, you may want to double it! You want to make sure that you use the finely shredded unsweetened coconut (such as the brand pictured below), not the large flaked coconut. 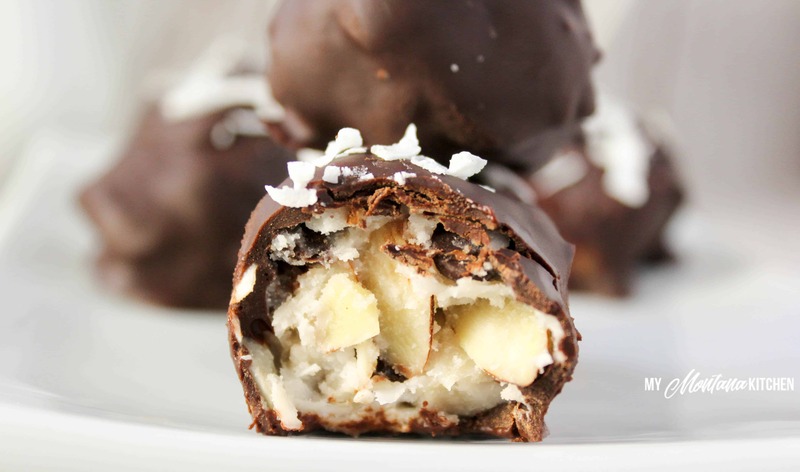 If you love Almond Joy Flavors, you would also love these Almond Joy Bonbons! So, what do you need for these Almond Joy Cookies? 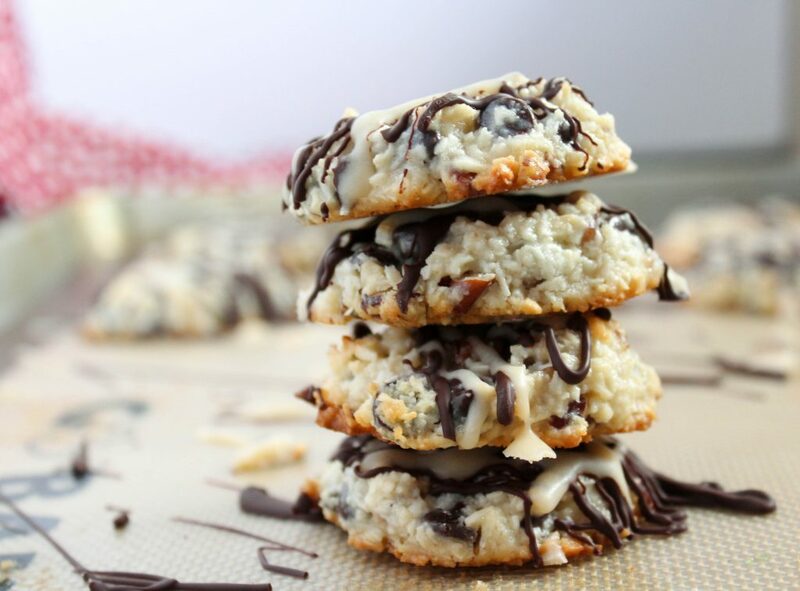 Coconuts, almonds and chocolate is just the perfect combination for a cookie. Delicious! So I made the condensed sweet milk and then without thinking poured it right in without lettting it cool! Oh well, it still tastes fabulous even with melted chocolate chips! Wow! This sound dangerously delicious. I love “healthifying” beloved recipes, too. It’s a satisfying process and important to keep and carry-on some of our family traditions and food. Thanks for sharing the recipe. These look AMAZING!!! Do you think I could add some almond meal or coconut flour to this and have them still turn out? They look amazing to me but they look “gooey/not much substance” for my husband. I did think of adding coconut flour (but never did). It would be worth a try, but I wouldn’t add very much, as coconut flour is very “thirsty.” If you put them in the freezer for a while they firm up nicely. Going to the store tonight to get all the ingredients! How many cookies would be one serving? This look amazing! I can’t believe it’s only 4 ingredients, that’s rare for low carb baking. Well done, these look delish! I think I’m going to faint, LOL! Thank you so much for sharing! These look like they taste just like the candy bar! Thanks for sharing! I was wondering about putting the cookies straight out of the oven into my cold freezer. It can’t be good for the other things in the freezer. Is it possible to let them cool for a bit first. Or ferrite rate them.? These cookies and Bon Bons are seriously addictive. Have made that same mistake! How many areasons in a serving? I’m going to bake these tomorrow. Thanks for sharing the recipe! Do you know the nutritional breakdown? How many carbs in 1 cookie? My mother and I made these this weekend, to die for!! Would love to know the nutritional break down, as we both are trying to stay low carb! These are amazing! !! I was impatient and didn’t let the condensed milk cool so I had a big chocolatey blob to work with but they were still amazing. Going to make another batch tonight to hide since my husband and kids ate all the other ones. Thank you! ! If it has sweetened condensed milk it isn’t actually sugar free, or low carb. 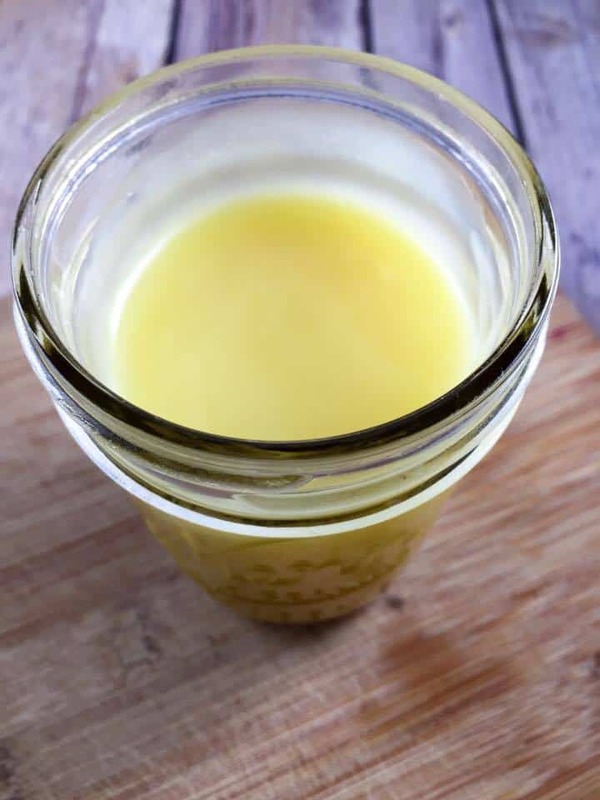 This recipe uses a homemade “sweetened condensed milk” that is sugar free and low carb. 🙂 The recipe is linked in the post above. I just made the condensed milk (holy cow!) and I was actually going to make these cookies tomorrow as my Lilly’s chips won’t be delivered until then. I plan on storing the condensed milk in the fridge until tomorrow, but how long should I heat it in the microwave when I need it? I’m worried it won’t be the right consistency for the cookies. I think about 10 seconds is what I usually do. Heat, give it a good stir, and it should be good to go. How many cups of sweetened condensed milk? I made some ahead and don’t have just one batch. One batch is about 1 1/4 cups. Hi, do you use 1 whole cup of the sweetened condensed milk for this recipe? I use about 1 1/4 cup. How long can I safely store the homemade sweetened condensed milk in the fridge if I make extra? Up to two weeks I would think (but mine has never lasted that long)! ? I’m really disappointed in this recipe and won’t make it again. 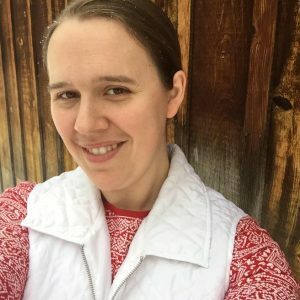 I bake quite a bit and have made many sugar free, low carb baked goods. I made this recipe exactly as written, including the condensed milk. I wasted a bit on valuable ingredients. While baking, they spread out really bad. I thought that was just fine, that they’ll be on the thinner side. These cookies literally fell apart after letting them cool. I think one or two egg whites in the recipe would have kept them together. Hi, Tarah! I’m very sorry that they did not turn out for you. I have not had a problem with them running/spreading, however a few people have. My suggestion is to bake them in a silicone bar pan or muffin tin. Then, place them in the freezer to completely cool (before removing them). This completely solidifies them, and I have not had an issue with them crumbling. Thank you for taking the time to tell me you had a problem! I had the same problem they turned runny and the butter separated. I had a tray of cookies floating in butter. ? Wasted a lot of money here. Very disappointed. ? It sometimes helps to bake them in a muffin tin, then let them cool completely in the freezer until they harden. You could also try adding 1 Tablespoon of coconut flour to the dough to help thicken it a bit. OMG!! The sugar free condensed milk is amazing!!! What recipes do you have for it?? These were delicious! One trick I tried was to bake in a paper lined mini muffin tin after reading about the clear liquid. The paper soaks ups the clear liquid and they stay together along with super easy clean up. 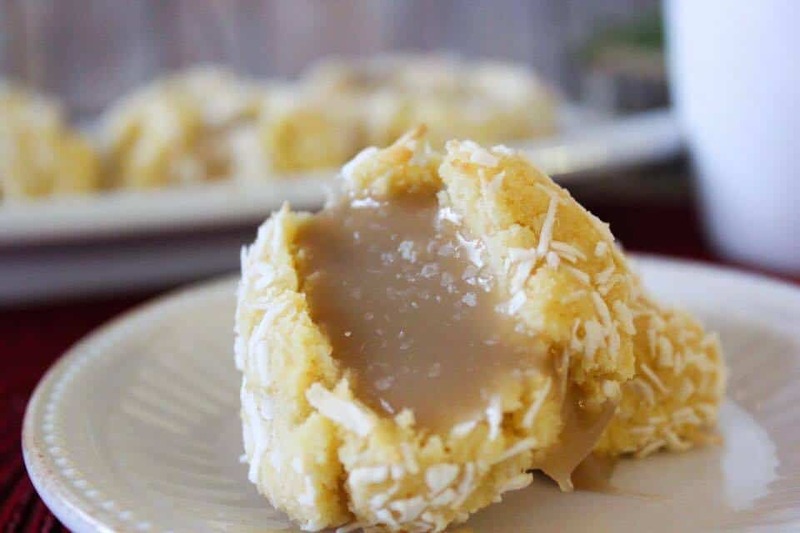 These are definitely on my “to make again” list and the homemade condensed milk recipe is so good. I couldn’t stop stealing bites of it after it cooled! Yummy! Unfortunately, I don’t think that would yield the same results. So I made them (currently baking). I got impatient and mixed everything together while the “milk” was still warm. Basically I just made some haystack so. Hope they are yummy! Wowza!!! These are AMAZINGLY delicious! I made the Sugar Fee Condensed Milk up a day ahead. I had to nuke it slightly to be able to stir it. I used mini muffin pan silicone liners. Small ice cream scoop for each. I cooled them completely in silicone cups in freezer. They just pop right out. Made exactly 48 this way. Under one carb each! Can you use heavy whipping cream instead a condensed milk? No, for this recipe it must be the sweetened condensed milk. However, you do use heavy whipping cream to make the low carb, sugar free condensed milk. Oh my!!!! What can I say! Love love love the condensed milk. Really wasn’t that hard and tastes great! I liked the cookie mix without cooking them lol. But mine did spread when I tried to bake them. However, I will be making this again and again……thanks for the recipe. Have you tried this recipe with your two ingredient condensed milk? No, I have not, but I think it would work. I would put them in a muffin tin to hold their shape. I made these today! So good! It was hard not to eat the sweetened condensed milk! I LOVED the flavor! Thank-you! We added a couple tablespoons of flax seeds and the liquid that was dispersed with the trial cookie wasn’t there. Wish we had some parchment paper because I don’t think they would stick to the pan. The cupcake paper did not work at all. That cookie was thrown away. Definitely need to oil the pan with coconut oil or they’ll stick even more. We used condensed coconut milk from the store. Thank you for your response! 🙂 When I use a cupcake pan I do not use liners, but rather just spray the pan. They usually pop right out after they are completely cooled (in the fridge). It also may help to add a tablespoon or two of coconut flour. These are SO delicious! They remind me of those caramel coconut girl scout cookies that I used to love. It’s so awesome to be able to make such tasty treats that I can enjoy without guilt! Thank you! My cookies did spread out and leak while baking, but I squished them back together as they cooled and they’ve held up great in the fridge. Next time I’d try the muffin tin suggestion. Absolutely delicious!!! I laid them on parchment paper before baking so all I had to do was slide the parchment paper with the cookies in it on to a cooling rack. They spread quite a lot during baking but because they were so soft I just pushed the edges back towards the centre of each cookie and put them in the freezer to harden. 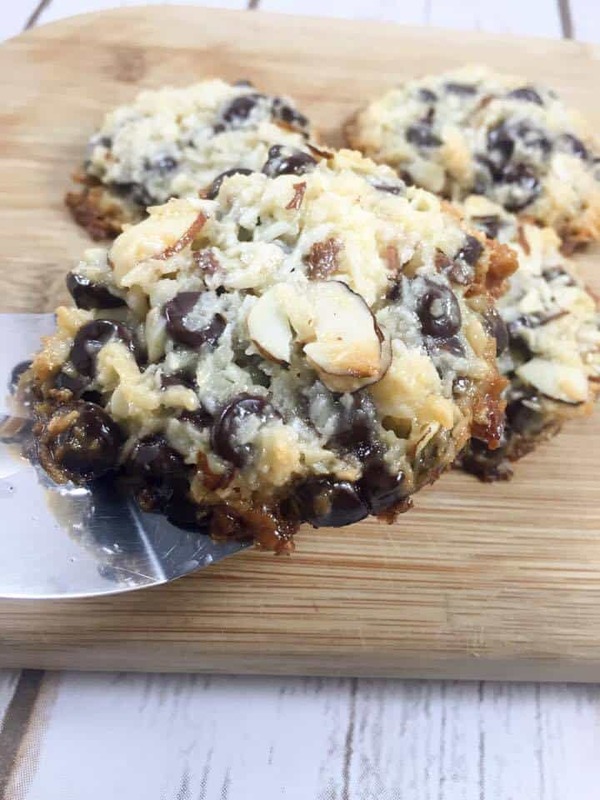 I added a pinch of salt and they turned out to be literally the best low carb cookies I’ve ever come across! You need to warn people with this recipe that it’s hard to keep it to a small serving size. I made a half recipe yesterday (about a dozen cookies). And they are gone today. Oops! And YES- I’m the only one eating them. So much for ‘healthifying!” it b/c even too much of a good thing is not going to be a good thing for my waistline anymore! lol. So, makers beware, they are YUMMY and don’t make them if you are lacking self control. Sigh. I made these this weekend and they are pure heaven!! I used your sweetened condensed milk recipe and it thickened up wonderfully. I didn’t do a good job keeping track of time but I think it cooked about 30-45 minutes until it appeared to be reduced and getting thick. I baked them in a muffin pan and after they baked, I put them in the fridge overnight (in the muffin pan) . They hardened up perfectly and are so very delicious! Thank for sharing! I might try to use the sweetened milk to make frosting. Not sure how that’ll turn out but it’s really awesome as well! I made the homemade sweetened condensed milk tonight. I subbed Swerve for the Gentle Sweet. To get the same amount of sweetness, I had to add a cup. My milk was reduced, but I have nearly 2 cups. It is thick and all. Should I only use one cup of it? Does this really mean there is more that 40 g of fat per cookie?? Yes, the sweetened condensed milk is made with heavy whipping cream, which is high fat. Coconut is also high (in good-for-you) fat. Hi, I love these cookies and the sweetened condensed milk is gorgeous. I eat the left over condensed milk with a few blueberries and it tastes like blueberries and custard. Just a quick question. I am putting the nutrition facts into my fitbit app and I want to know what you are counting as a serving? Is it two cookies per serving? The nutrition info is calculated for 1 cookie per serving (though I usually eat two)! Thank you so much for this recipe! Yes, they spread but that’s why you have us bake them in muffin pans, right? They are absolutely delicious and I finally found a low carb recipe that we all enjoy!! Yes, I just recently updated the instructions to use a muffin tin. 🙂 I’m so glad you enjoyed them! I’m very much looking forward to making these! Could I substitute Swerve confection for the GS? They look so SO YUMMY! ? These look amazing! Do you think I could use evaporated milk and some added stevia instead of the condensed milk? No, the evaporated milk would not be thick enough to hold these cookies together. This is great. I’m putting together my holiday cookie list this weekend. It will be 100% gluten free and keto this year! 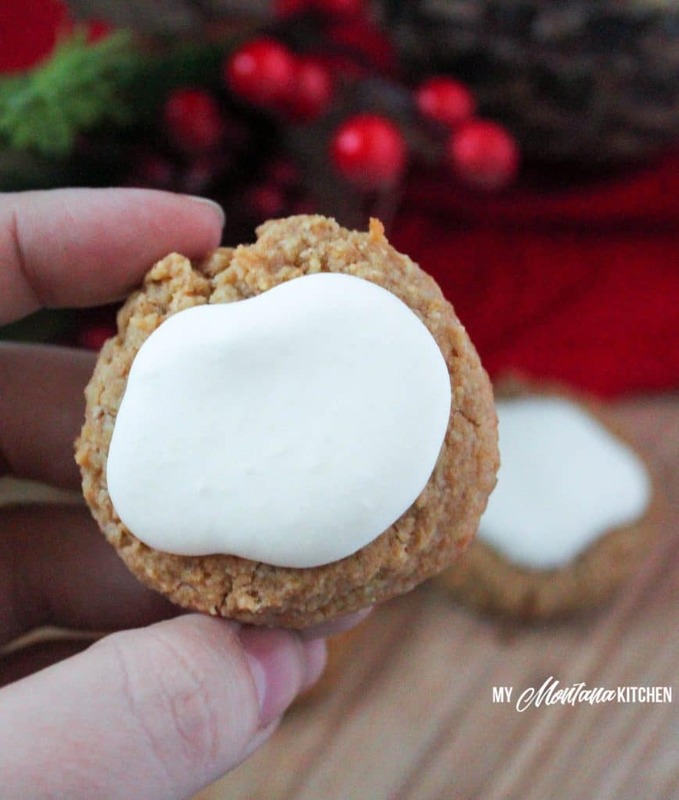 One advantage to keto cookies is that they always have a simply ingredient list. Thanks for sharing! 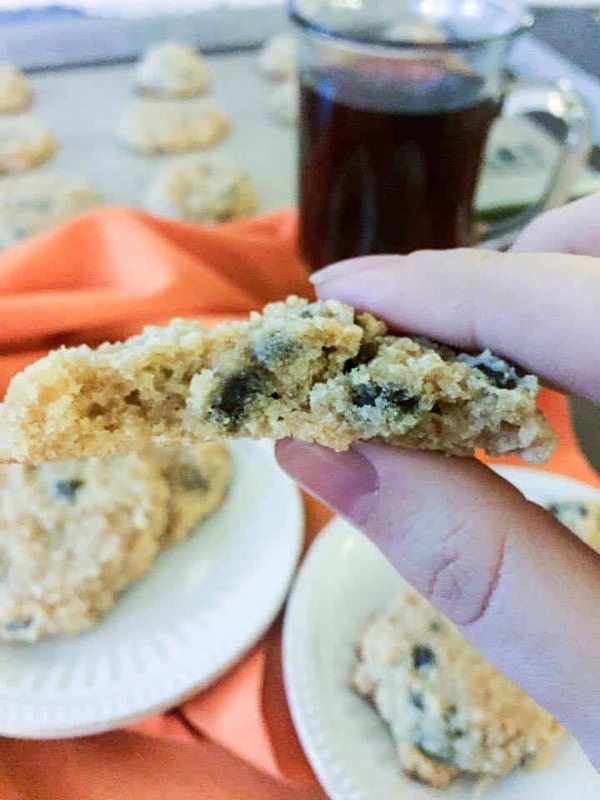 I used to make these cookies before going keto with the traditional condensed milk. Thank you so much for making a healthier version! Question for you…I made a batch of keto and a batch of non-keto and using a muffin top baking pan (worked perfectly!) . However, the regular batch held together really well while the ones using sugar-free ingredients are loose and falling apart although still delicious. I know I did something wrong – probably too little or too much of your sugar-free condensed milk. What do you think I should do next time to correct? Got impatient and didn’t read the last part about putting these in the fridge so mine didn’t stay in cookie form. My husband and I could have cared less! These are just as amazing eating them straight out of the muffin tin with a spoon. Guess I’ll go put the rest in the freezer to see what happens…..
Hi I’m having a problem with putting something so hot directly in my freezer. It brings the temp down. Plus I didn’t see anything about silicone cups till I was reading the reviews. I wish I had known ahead of time. I can’t wait to eat them they look like they came out great especially the sweetened milk came out great. Yummy. I’m just worried about the freezer thing. Mine is so full. Well this the 3rd time I have ask you a question. im going to try one more time. Is there another alternative to putting the hot cookies directly in the freezer.? I would advise letting the cookies cool on the counter first, then placing them in the freezer to harden completely. Thank you so much. Your recipes are the best of the best. 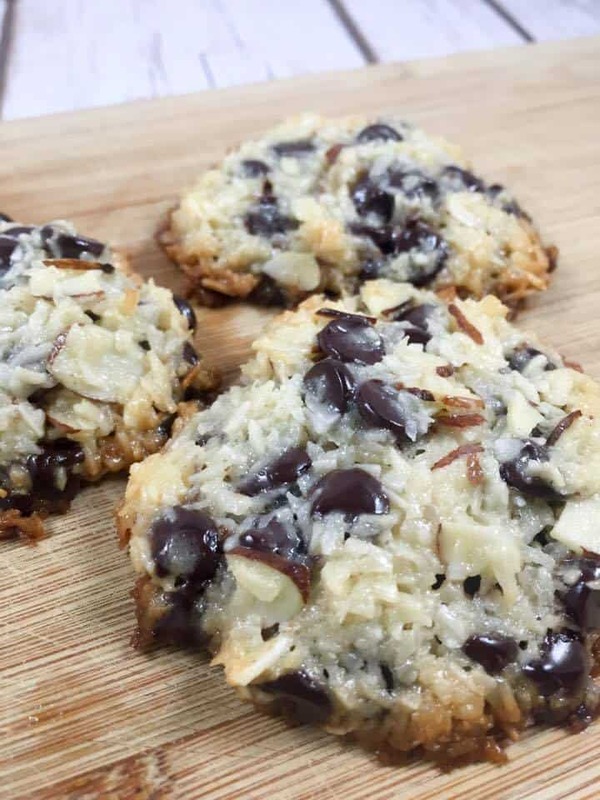 I’ve made both versions of your almond joy cookies and they come out perfectly every time. I’m working on your biscuits now. Thank you for all the hard work. I know coming up with these recipes isn’t easy a lot of trial and error. These were really good but I am having a hard time getting same nutritional info . I believe it’s because if the lily chocolate chips . 1 cup of them is 220 grams is that correct? When I calculated the nutrition information I subtracted the sugar alcohols from the sweeteners and the Chocolate Chips. Can you use your lighter sweetened condensed milk in these and it still work? I’ve made these 3 times already and each time they get better and better. The homemade condensed milk is super delicious. This time I stepped the flavor up a bit by adding 1 tsp of almond extract to the condensed milk. I also sprinkled a little of the coconut on top before popping them into the oven. It’s perfection! I LOVE the enhanced flavor with the extract. Looking forward to trying your other recipes. Thank you so much for this. It’s, hands down, my favorite fatty treat so far. My only gripe with this recipe is with the nutritional info. It doesn’t make sense. How did you get 40.5 calories from fat? When I calculate it out on my own, I’m getting about half that. Also, how can “fat calories” be more than “total calories.” That one obviously is incorrect. Could you let me know how this information was calculated. Thanks! I just want to make sure I”m logging my info correctly. Yes, I know. 9 calories for fat and 4 for both carb and protein. I’m more questioning the 40.5 grams of fat per cookie. Did you just plug everything in a calculator and let it spit it out for you? I’m just not understanding how each cookie can than have 40.5 grams of fat. My HWC is 5 fat grams per tbsp which equates to 160 grams/ 2 cup. The butter is 11 grams of fat per tbsp (I use Kerrygold), which equates to just 22 grams for the 2 tbsp. In total, that’s only 182 grams of fat for the entire recipe for the milk, BUT this cookie recipe only calls for 1 cup of the yield (or HALF the recipe) in the cookies, so only 91 fat grams (182/91). With the remaining fat from the coconut (96), almonds (28) and Libby’s chocolate chips (42), TOTAL fat for the entire recipe comes to 257 grams (91 + 96 + 28 + 42). Divided by 16 cookies, that’s only 16 grams of fat per cookie. How could you get 40.5? At 16 cookies, each having 40.5 grams would mean that the calories from fat alone would be 5832 the entire recipe and I just don’t see how that could be possible. I’m sorry to bombard you with all of this, I just want to make sure I”m not missing something. I’m on a strict macro counting diet so I just want to make sure there wasn’t some “twist” here that I have not considered. If you could give me some insight on how you came to 40.5 calories per cookie, I would soooooooo appreciate it. Thanks! Sorry…in case you didn’t understand how I got the calories from “fat” for the cookie. 40.5 grams per cookie x 16 cookies X 9 calories per gram of fat = 5832 calories. It doesn’t add up when you have each cookie only being 237 calories. 237 calories per cookie x 16 cookies = 3792 calorie in total. So again, you have a situation in which the total calories from fat is more than all the calories of the recipe, which cannot be accurate. However, after double checking all of my ingredients, I see that MFP has the Lily’s Chips and coconut counts correct (per the package), but I do not have any sliced almonds at present to check. But looking online, it looks like there is a great discrepancy in the fat content of the almonds. That may be something to check. I will check on that the next time I am at Natural Grocers (where I buy my sliced almonds). Thank you again for your concern! Thank you so much for taking the time to go through this with me! The discrepancy is definitely with the almonds. I would urge you to recheck the actual package of almonds you used for the nutritional info because 360 grams of fat for 1/2 of sliced almonds is definitely not correct. It sounds like they messed up and labeled the “calories” as the fat grams. 1/2 cup of sliced almond is about 340 calories and only about 28 grams of fat. Be careful with MFP, I constantly come across incorrect information on there so you should always double check with an alternative source if you can. As a matter of fact, I was looking for nutritional info for beef oxtails just today, and MFP showed that it had more fat than protein…but not only that, the protein was so low like that it was like it would be for slices of deli meat! LOL. I knew that could not be correct and got my nutritional breakdown from elsewhere. Hope this helps! Soooo Yummy!! Baked them in mini muffin pans with little cupcake holders. Made my condensed milk recipe a few days ahead, but microwaved for 40 seconds and stirred it in; easy peesy! Put them in the freezer like suggested, and turned out perfect!! I made these with pecans instead of almonds and they are so good!! Best fat bomb ever! I made the Almond Joy Cookies last night, I’m addicted!!! They came out perfect in a muffin pan using baking cups, followed recipe to the tee (cooked for 17 minutes’instead of 15). Now, how do I quit eating them? Love them!!! 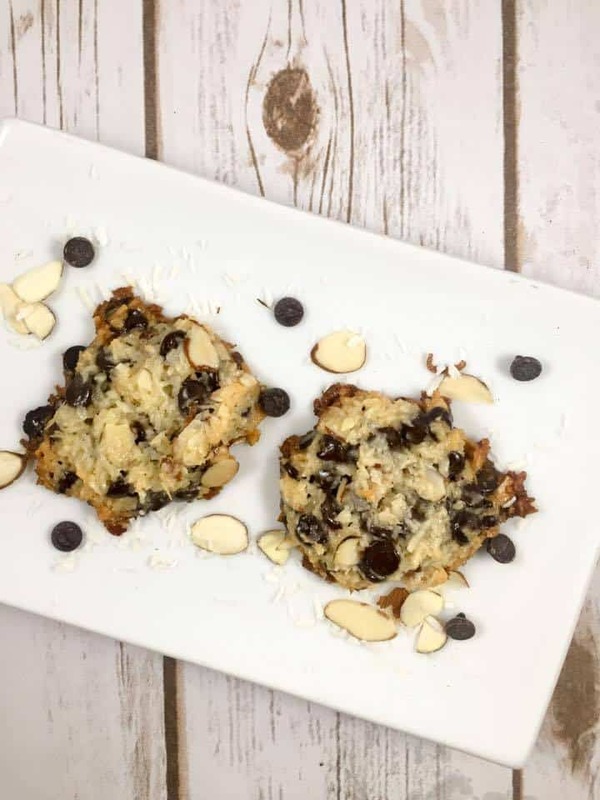 What a great low-carb cookie recipe. I can’t wait to try these. I love Polly’s idea of doing these in a muffin pan. These keto cookies are going to be a great addition to my fat bomb arsenal. Thanks! These cookies sound fantastic! 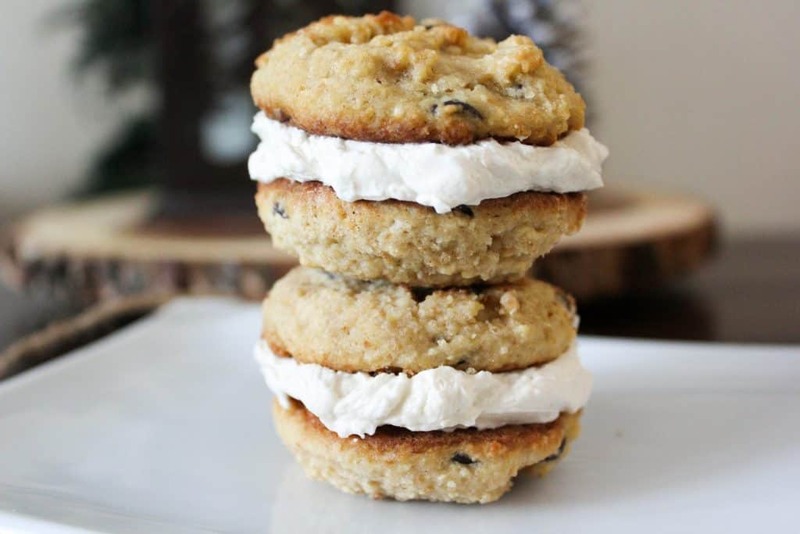 I love a healthier version of a traditional cookie like this.